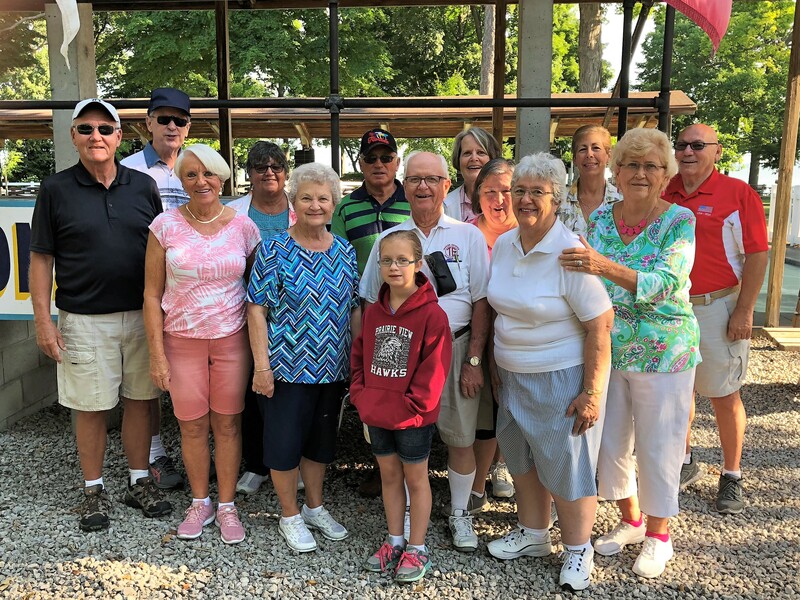 SWCD ATTENDING MEMBERS (L-R): Ron Nurnberger, Larry Mardis, Pam Nurnberger, Jo Miller, Arlene McCague, Levi Miller, Hope Miller (Jim & Jo Millers granddaughter), John Brown, Donna Schultz, Cindy’s Slaughterbeck, Dolores Brown (Executive Tournament Director),Terri Smith (2017 Ladies Champion), Sandra Little, and Dave Kudro (FSA President). N01: The First US National event of the 2018-2019 Season will be held in Bradenton FL beginning Monday, October 29th!! The Bradenton Courts will be open for practice BETWEEN ONE AND THREE on Sunday, October 28th. The Event, US NO1, and FL PO5, is SINGLES, Men’s and Ladies, BOTH WALKING AND NON-WALKING!! No lunch will be available.